An Indian foodie’s experience of Iranian food in USA vs.& comparison with similar dishes available in India. Excellent flavors & taste of a wide selection of Food from Iran in a beautiful Restaurant whose Dining hall reminded of Palaces described in the Arabian Nights. The façade of the Restaurant is as Simple & Spartan as it gets. It is impossible to guess what is inside. However, as u get in, u r pleasantly surprised – much better that I cud imagine, in Phoenix. It had beautiful intricately designed interiors & traditional Arab Music was being played. The co diners on other tables looked to be a uniform mix of Indians, Americans& Middle Eastern. We looked out for Chelo Kababs& landed up with something else that was excellent. The taste, flavors & everything in the food was mind-blowing good. I was wondering that if Arab Restaurants in USA can be so good, why r Indian restaurants so bad. 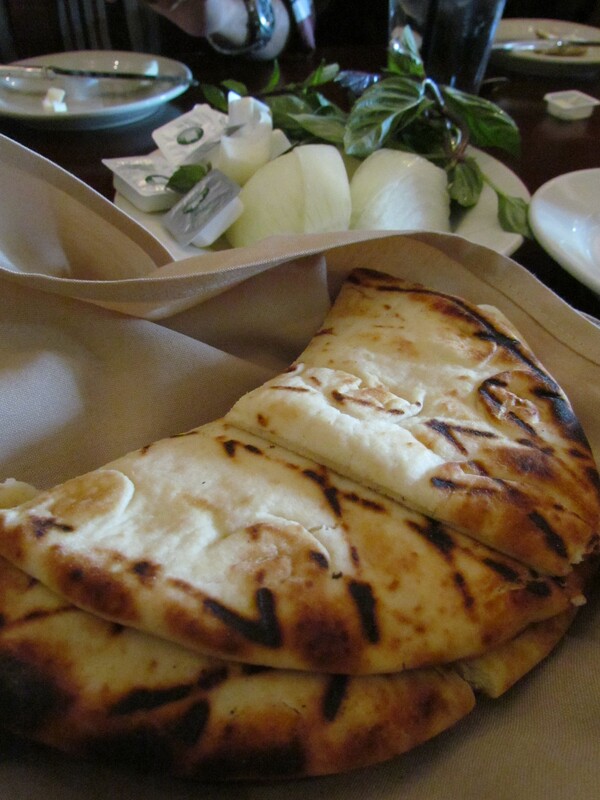 For lunch we had fresh, warm, soft & nice Iranian Naan bread. Thick slices of white raw onions & green leafy salad were served – interesting. 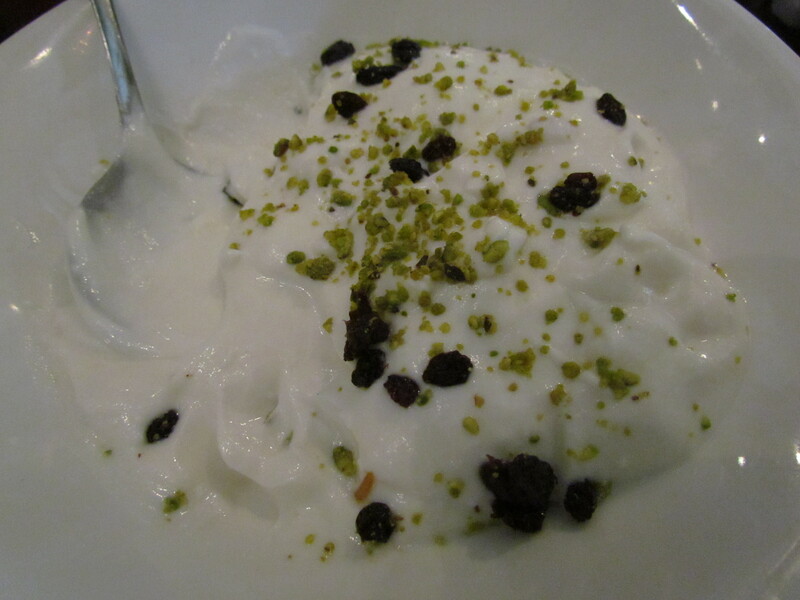 A hung curd based dish was served that acts as a relief to the otherwise meaty meal. 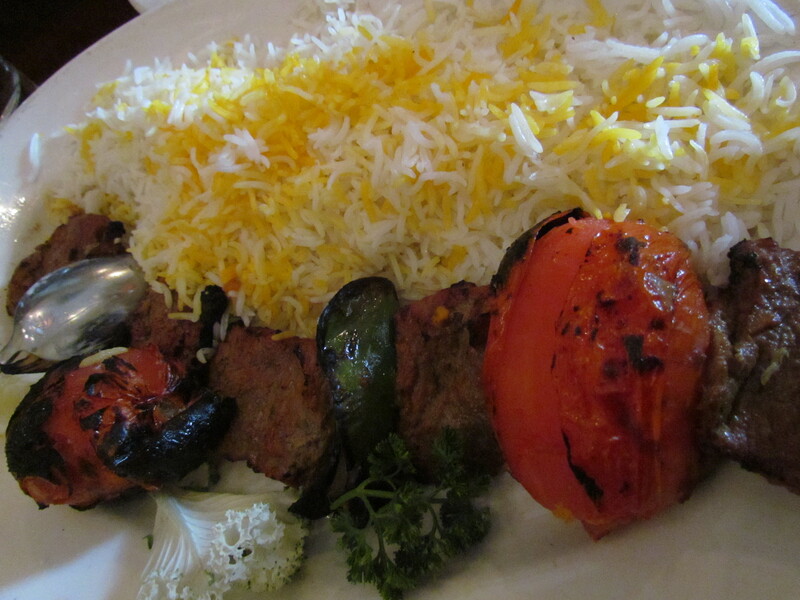 We tried Koobideh (on the top line of the pic) – A mixture of ground beef, minced onions & seasonings, skewered & broiled. It was wow – lipsmacking good. Also served was Loobia Polo – Sauteed chunks of Beef tenders & green beans simmered with sauce & Persian spices. These two were served with finger licking good long grained basmati rice. Super soft, fragrant, independent morsels of rice – very similar to Lucknowi Dum Biryani sans the dripping ghee. Beef sheesh Kabab was Chunks of marinated Beef tenderloin, skewered with green bell peppers, onions & tomatoes. This also was served with something very similar to good kolkata / lucknow biryani rice sans the dripping ghee.Long strands of independent rice grains but super soft, melt in the mouth & very flavorful. Tasted a bit of Iranian lamb shack. Wonderful as well. One of our vegetarian friends had a veggie platter – he too liked it. Another friend who went for Chicken platter also loved it. 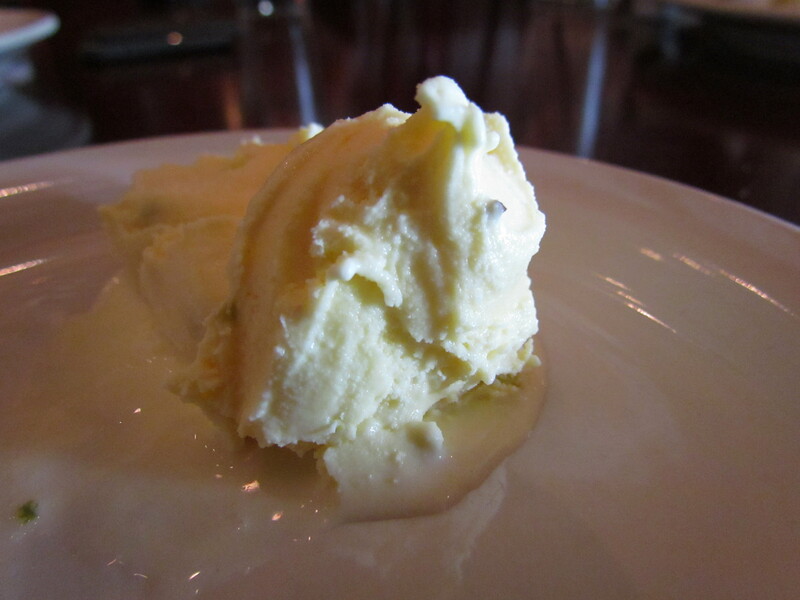 For dessert we had Persian ice cream – very different flavors & texture than the usual one & very enjoyable as well. 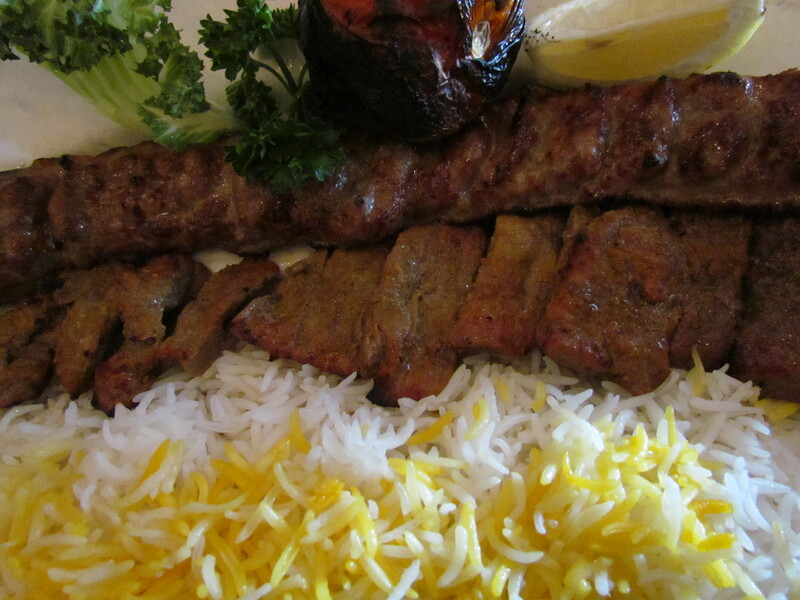 A co-diner who had lived in Iran for many years also said that the food is authentic. 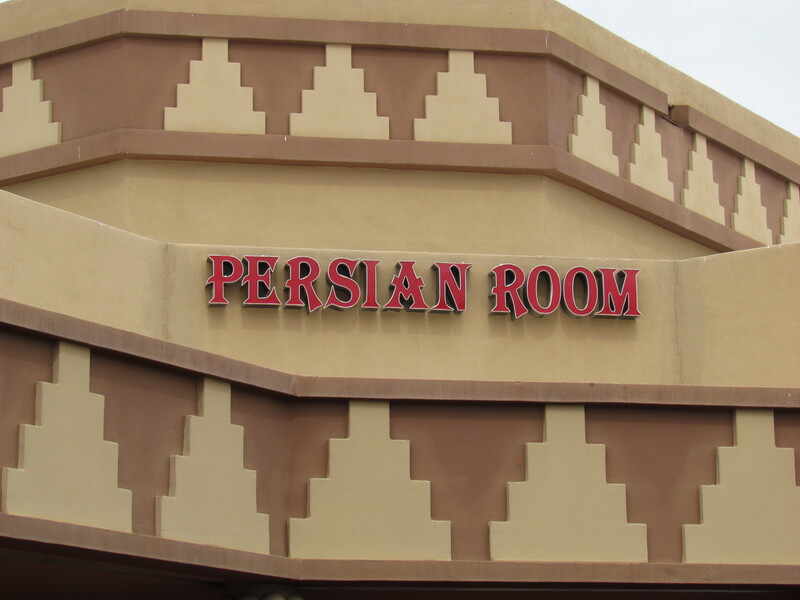 That was wow – authentic Iranian food with great taste & flavour in Phoenix USA. Earnestly hope that they open a Restaurant in India.